It’s almost impossible to resist a good yarn. If a story can reach into your guts and yank gently, anchoring you to its every turn with pointed pressure, then it’s the kind of story to which you can lose hours, days, even years. To craft such a thing is no easy task: the best feel effortless as you read (or watch) them, but require diligence, skill, talent, and more than likely, a little luck to actually create. It’s a process that can be grueling, unforgiving; a long, hard slog in which success is far from guaranteed. And yet when all the shouting’s done, we’re sometimes left with a magic trick—something ensorcelling, addictive, and unforgettable. Stephen King knows a thing or two about a good yarn. Over the course of the last four decades and change, King has gifted the world with some undeniable page-turners; many of those books and stories have become films and television shows (and even the odd musical). “Castle Rock” isn’t a King joint, in the purest sense—while the “King of Horror” serves as an Executive Producer on Hulu’s latest, he’s not the one battling tooth or nail with the story. That fight belongs to series creators Dustin Thomason and Sam Shaw, who enter the arena armed with a sizeable percentage of King’s universe, ready to fight for a yarn that can stand alongside the finest, and creepiest, of King’s creations. That they come out alive with a story that works is no small feat, but “Castle Rock” isn’t quite the stuff of magic—not yet, anyway. For the uninitiated—and it should be noted that the uninitiated aren’t exactly the target audience here—Castle Rock is a town of King’s creation, and like fellow fictional cities Derry and Jerusalem’s Lot, it calls Maine home. It’s a place where something is just not quite right, where an ugliness, a force of some kind, lurks beneath the surface, rarely acknowledged but palpably present. “The Dead Zone,” “Cujo,” and “The Body,” the short story that was adapted to the screen as “Stand By Me,” were all set there. So was “Needful Things,” a story that centers on Sheriff Alan Pangborn. Pangborn (Scott Glenn), as it happens, is still hanging his hat in Castle Rock. The same can’t be said of Henry Deaver (André Holland of “Moonlight”), a death row attorney who has done his best to put his childhood home, and the traumatic things that happened to him there, behind him. One day, a brief, mysterious call from a guard (Noel Fisher) at Shawshank Prison draws him back—the suicide of the warden (Terry O’Quinn) prompted a search of an abandoned wing of the prison, and there, they found a hole. In the hole, they found a cage. In the cage, they found a young man (Bill Skarsgård), and that young man said one thing and one thing only: Deaver’s name. It’s all very King, atmospheric and layered, with a small town gone sour and a horror that brings out the more everyday, but no less upsetting, horror in humanity. Also very King: a focus on characters with good intentions but personal demons, struggling to do the right thing in a world where there aren’t many right things, and even the best choices are often bad ones. As with so many of the narratives set in King’s world, those characters are good enough to attract some excellent performers. In the four episodes screened for critics, some of the members of this starry cast are given precious little to do—Frances Conroy (“Six Feet Under”), for example, does predictably fine work in a few slight scenes, but that doesn’t excuse the slightness; King royalty Sissy Spacek fares only slightly better. But most of the actors who are given more of a meal give thoughtful, even thrilling performances, with Holland and Melanie Lynskey (“Heavenly Creatures”), as a realtor with a supernatural psychological affliction, serving as the clear standouts. Each is good on their own; together, they’re terrific. They’re not alone in doing good work, however. Glenn and O’Quinn bring weight, history, and a sense of resignation to two men accustomed to a life filled with dread, while Fisher and Skarsgård (the once and future Pennywise) dole out most of the show’s more visceral thrills with at least some restraint. Still, it’s Holland who serves as the emotional anchor, with a performance that never allows Deaver to be anything less than a complicated, determined person whose demons aren’t sleeping as soundly as they once did. That, too, is very King, and for such men, things rarely end well. That’s very King, this is very King, the homes and yards and cars and sounds and words are all very, very King. 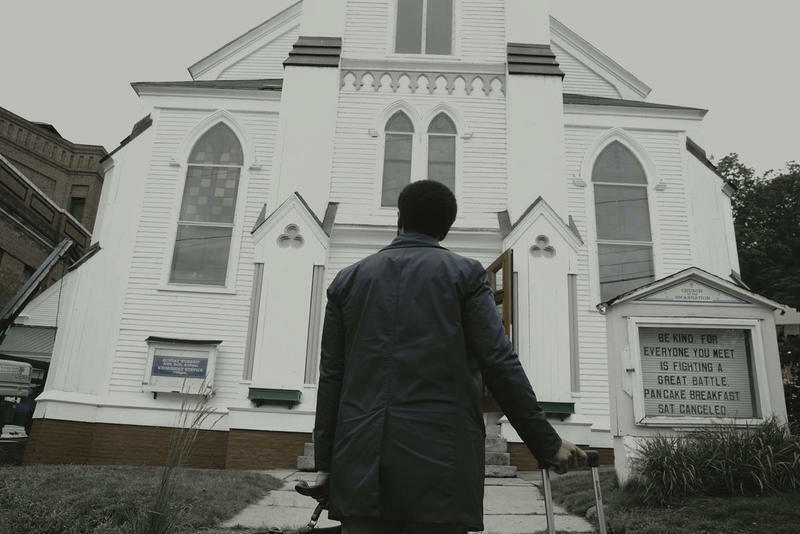 And therein lies the biggest weakness of “Castle Rock”: it’s obvious and earnest desire to be Peak King does more to fray and strain the yarn that Thomason and Shaw are weaving than any other misstep or stumble this series makes. When “Castle Rock” is focused on being a damn fine story—a smart one, a playful one—it can be good, even great. When it tries to be a wonderland for King fans, it races past the line of referential, rounds through fan service, and steps into cliché, sometimes even inching toward self-parody. Your response to that particular tendency may range from puzzlement, particularly if you’re not much of a King fan, to downright irritating, when Shaw, Thomason, and and their fellow writers can’t resist taking another shot at an easter egg and wind up blowing holes in an otherwise sound structure. A particular low point: when a character introduces herself as Jackie, and then clarifies, for the folks at home: “Jackie Torrance.” It’s cute, and the while King’s world can be called many things, cute is rarely one of them. It’s frustrating, because many of the best yarns, King’s and otherwise, succeed by making you forget the rest of the world for a moment, or else by asking you to peer even for closely at the realm you inhabit. Nostalgia can be a valuable artistic tool; it is, as Don Draper so memorably said on “Mad Men,” a longing for a place that we cannot return, and as such, can be used to cut a heart so subtly that you almost don’t notice the ache. That’s the magic of many of King’s stories, even the ones with scary clowns and frothing dogs. While “Castle Rock” sometimes achieves that ache, it’s not ever the result of a wink to the audience—though that winkiness is also, it must be acknowledged, very King. Thomason and Shaw are still in the first rounds of their fight, and as any good storyteller knows, a fight is best enjoyed with a few early stumbles. It’s possible, and even likely, that once “Castle Rock” really kicks into gear, it’ll concern itself less with gratifying the King die-hards and more with the business of ensnaring the mind. And that, after all, is the finest tribute one could pay to a writer like this one: to carry on the tradition of being entertaining as hell without ever forgetting its human roots. 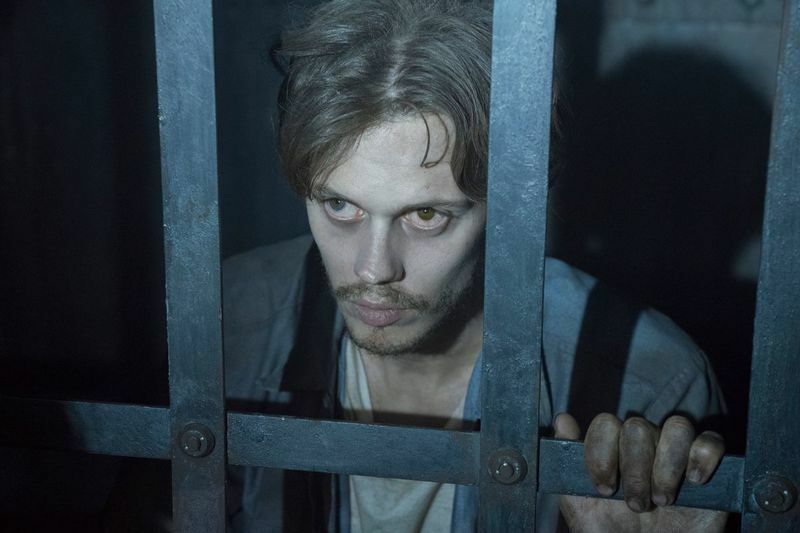 In short, “Castle Rock” needs to keep on creating a world and populating it with fascinating, messy people—if it can do that, it will be a worthy tribute indeed.